Macropods are usually more active during the night than at the day (Jackson 2003). The Bridled nailtail wallaby is not diferent. During the day it spends most of the time in a shallow nest scratched out beneath a tussock of grass or a bush (Animal Info Website). Its main movements are related with maintaining its position in the shade of shelter bushes or inside hollow logs. In general they are solitary animals, but in some reproductive conditions they will shelter together. Females hides their young in low, dense vegetation during daytime periods (Lundie-Jenkins & Lowry 2005). 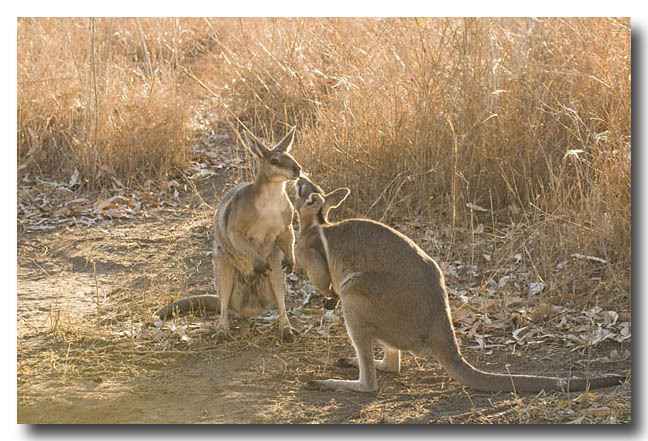 The bridled naitail wallaby’s most active period starts right after dusk. The main activity is feeding. 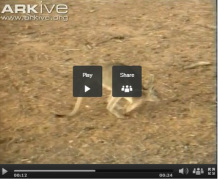 The bridled naitail wallaby moved at a rate of 10 to 200m per hour in this activity. Its intake includes herbaceous plants (grasses and forbs) and browse (Lundie-Jenkins & Lowry 2005). Curious about Bridled Naitail Wallaby? Just choose one video and enjoy! Lundie-Jenkins G, Lowry J (2005) Recovery plan for the bridled nailtail wallaby (Onychogalea fraenata) 2005-2009. Report to the Department of Environment and Heritage (DEH), Canberra. Environmental Protection Agency/Queensland Parks and Wildlife Service, Brisbane.